This morning we had Knead for breakfast again! 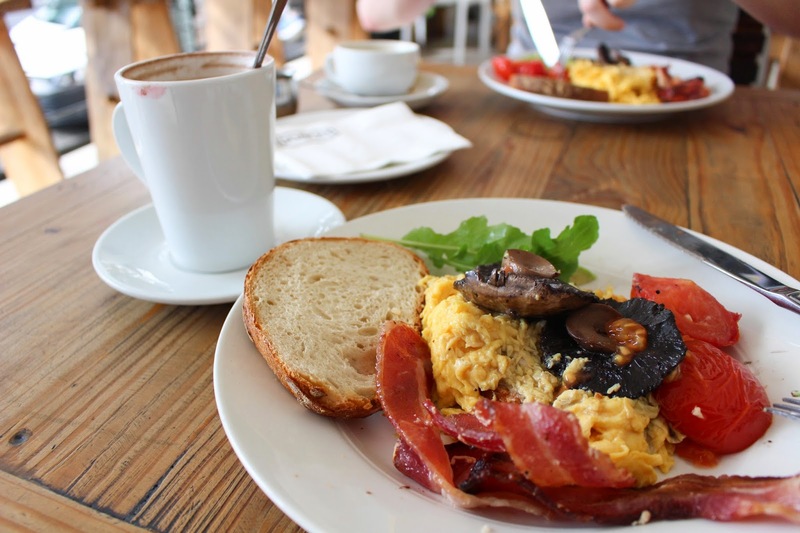 (Introduced in Day 3’s blog) I had some classic eggs and toast breakfast! 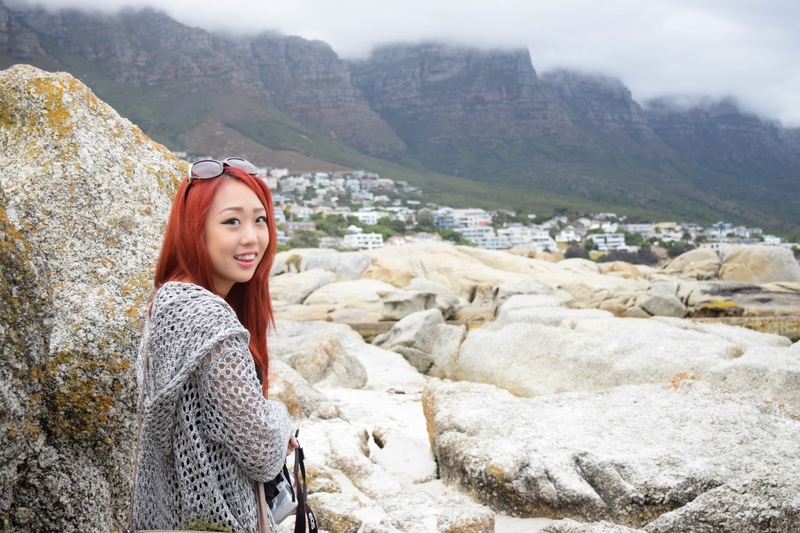 We also bought advanced online tickets to go up Table Mountain, but it’s a very cloudy day today so we didn’t go. 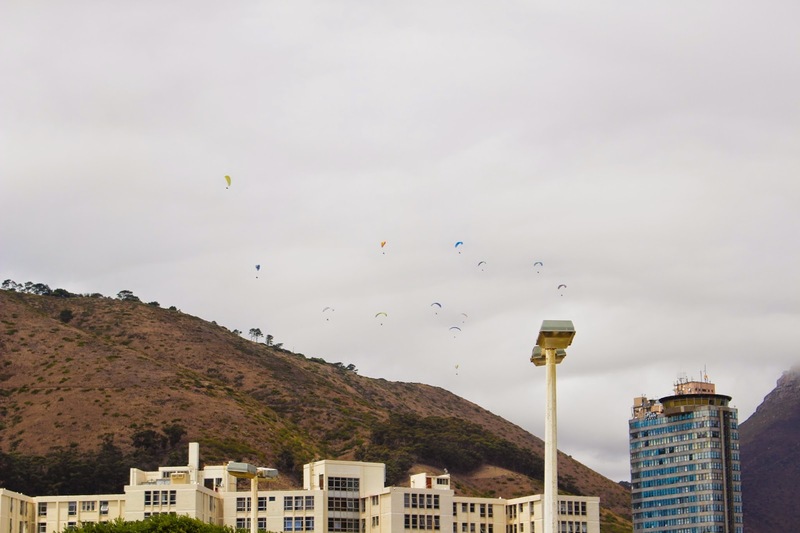 When Table Mountain is cloudy, it gets super windy near the top and the cable cars stop running. So you’ll end up getting stuck at the freezing cold mountaintop. 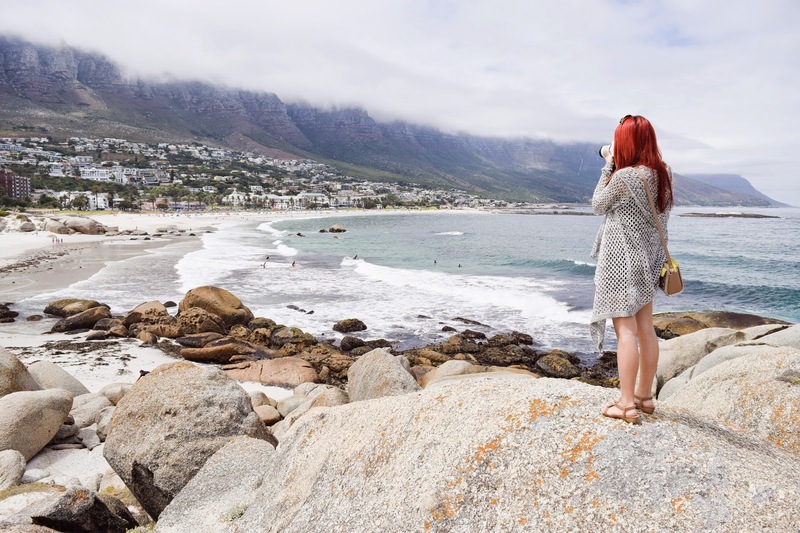 Instead we went to Camps Bay – one of the most famous beaches in Cape Town. 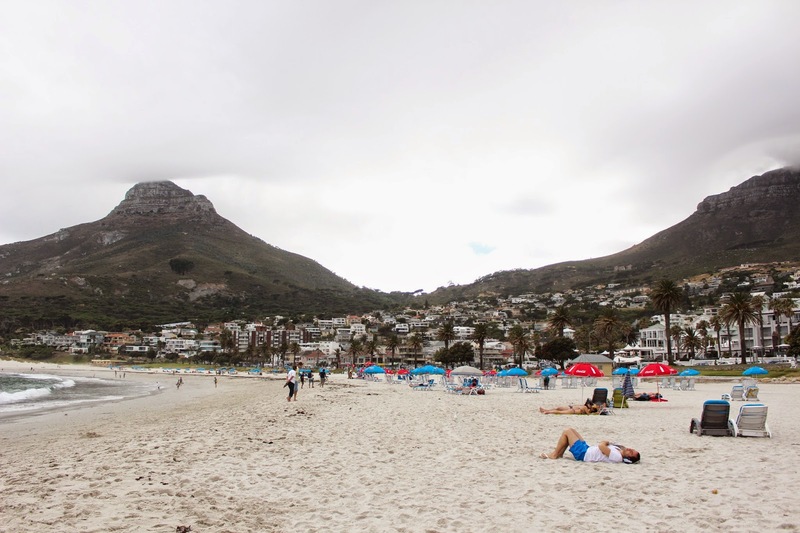 Since it was a weekday and it was cloudy, Camps Bay was pretty empty. I didn’t mind that at all though, some peach and just the sound of waves in the distance is the best way to enjoy vacation. There were some people walking their dogs. This particular family of 4 (parents and 2 daughters) had 2 big dogs that were running to the water and back as fast as they could. This was a rare scene for me since Hong Kong doesn’t really have space for big dogs, let alone 2 big dogs. 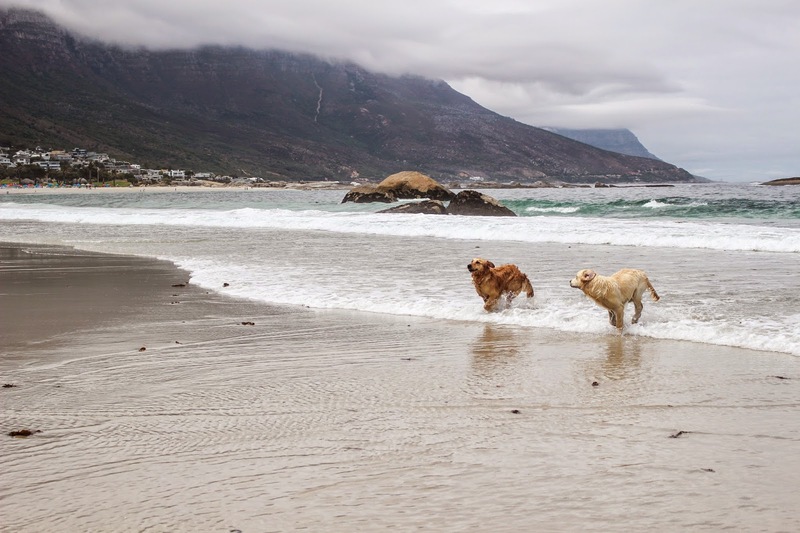 It was a delight to watch them race each other into the water and jump up and down. Nothing better than animals enjoying themselves and having fun! 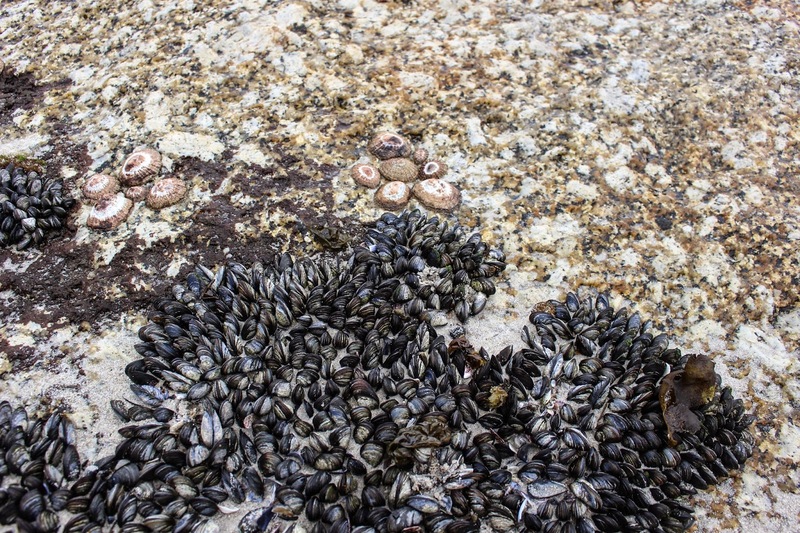 On a lot of the big rocks in Camps Bay there were also a lot of mussels growing on them! They were pretty small but came in large numbers and covered a good amount of each rock. In the distance, there were surfers in wet suits trying to catch some waves. 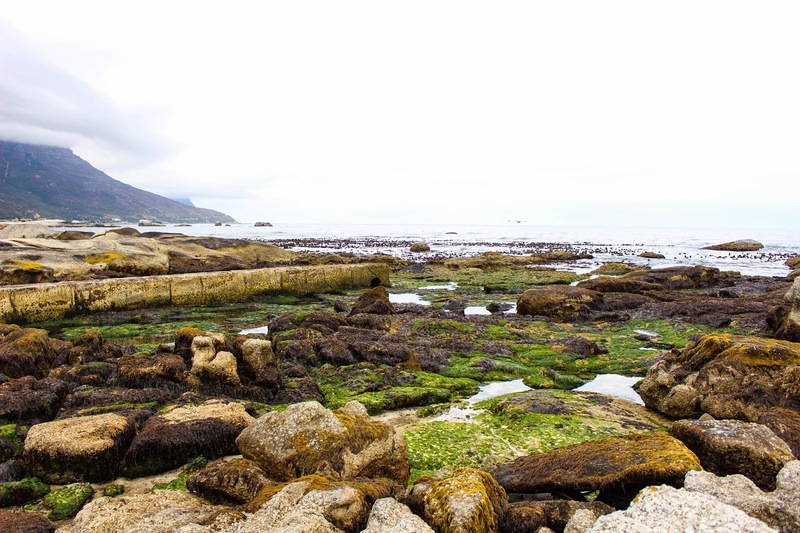 Cape Town’s oceanic waters are extremely cold, with an annual average of just 13C. I could only dip my toes in the water and I was freezing already. 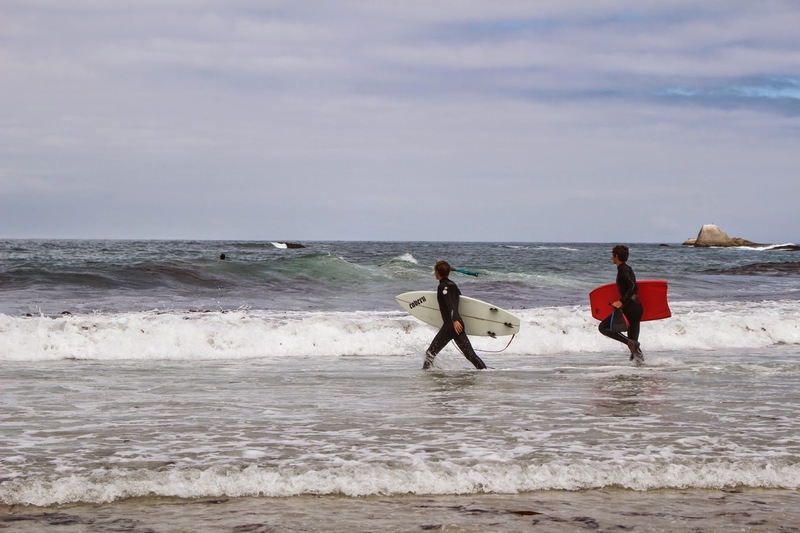 I really admire those tough surfers. 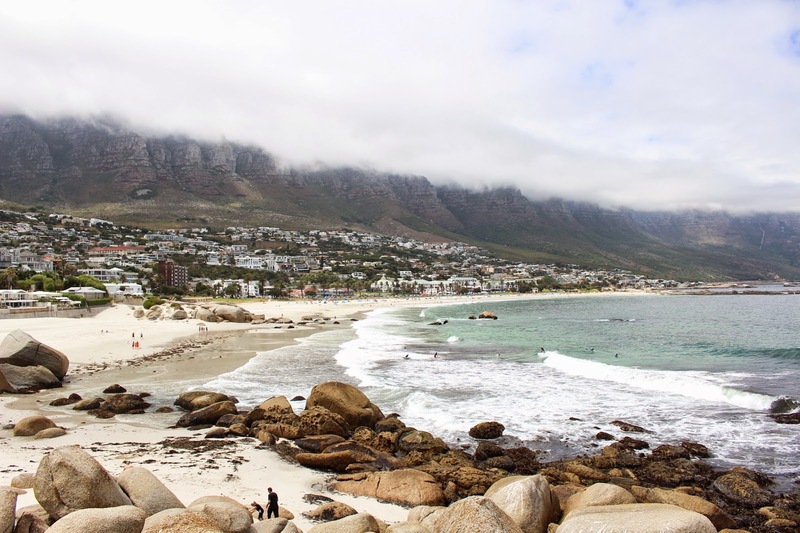 Besides the cold water, don’t forget there are also sharks around the waters of Cape Town! That’s why shark cage diving is so famous. It’s one of the 3 places in the world that has shark cage diving to see the great white, including California and Australia. 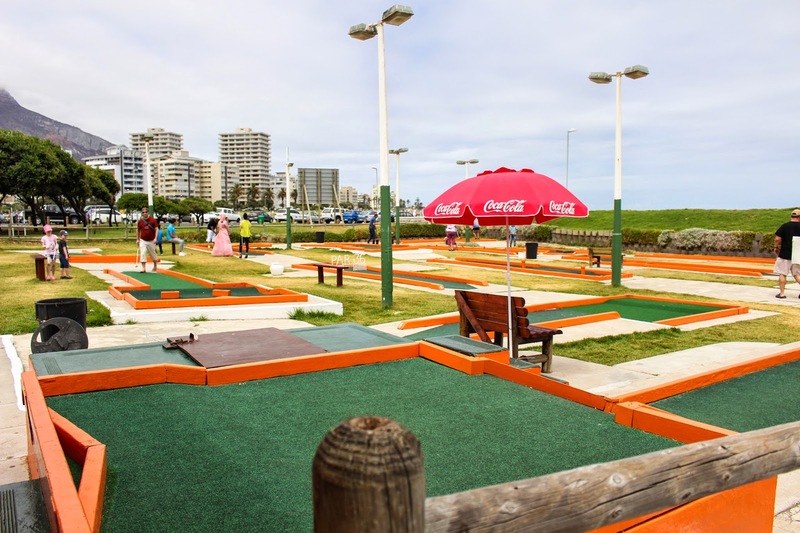 The sun was coming out and we were tired of walking around, so we took an Uber to sea point to play some mini golf. 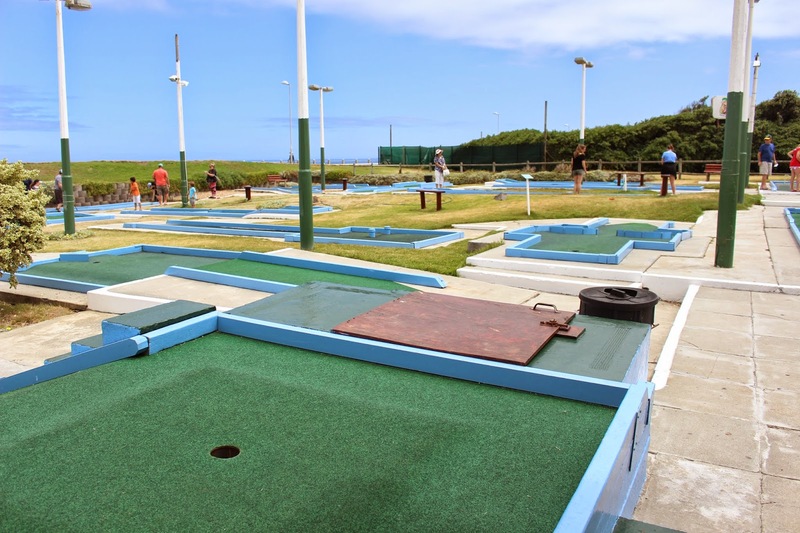 It’s a place called “Putt Putt” and is very cheap to play a round, less than $20 Rand I think (which is around $2 USD) There were 2 different courses with 15 different holes. I’ve never played golf in my life, and I absolutely sucked at mini golf. I always hit too hard and the ball just goes flying off the edge. I guess I’m better off playing and iPad version of golf. For lunch we went to a restaurant called Belthazar at the V&A Waterfront. 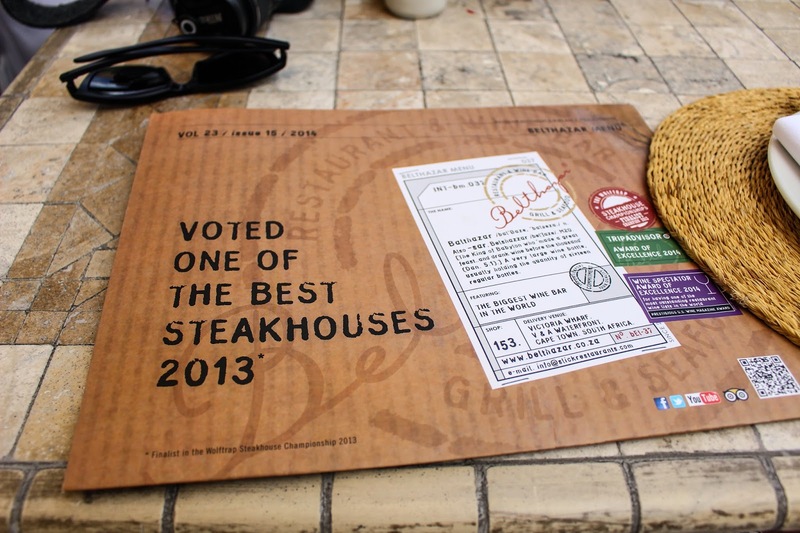 It was voted the best steak, and it truly is the best steak I’ve had in my life. 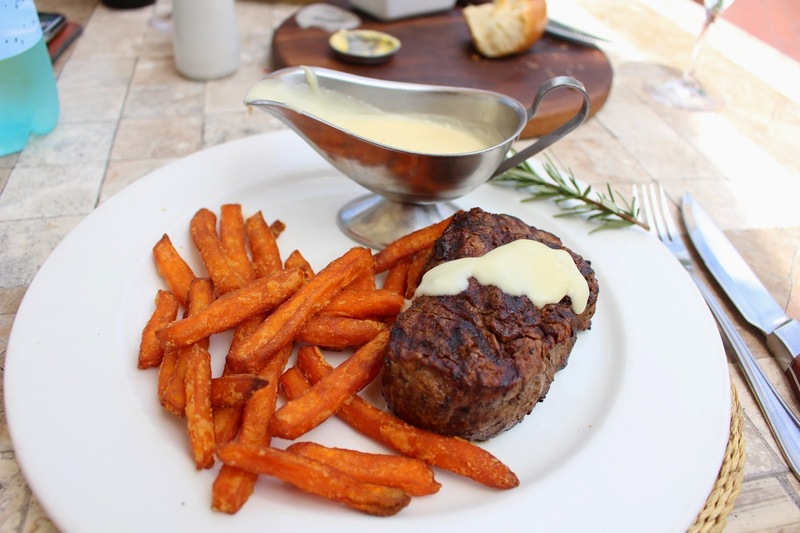 I’ve had quite a lot of expensive steak throughout the US, but South Africa really knows how to cook their steak well. I went with the Medium Rare 250g grain fed Fillet. It was only $186 Rand ($16 USD), just incredible. 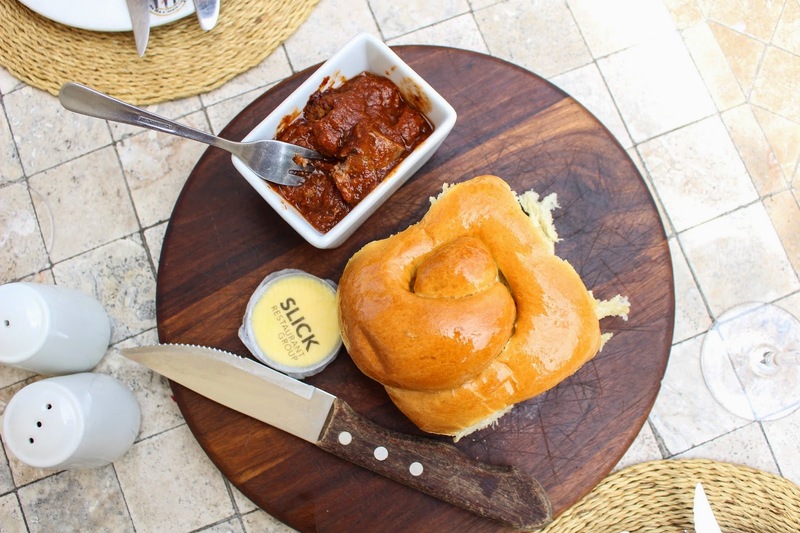 Even the sweet bread and sweet potato fries were spot on amazing. If they were to replicate a store like this in Hong Kong, it would probably be more like $100 USD per head, with the quality of meat and the view of the waterfront. Later that afternoon I started become sick. I think it’s a combination of my immune system weakening because of jet lag, and eating so much raw seafood and meat all of a sudden. I kept waking up with fevers, so I just ordered some room service and edited 4 days of videos! Next blog, we'll be going up one of the 7 wonders of the world - Table Mountain.